This is NOT the type of slip and slide anyone wants a part of! 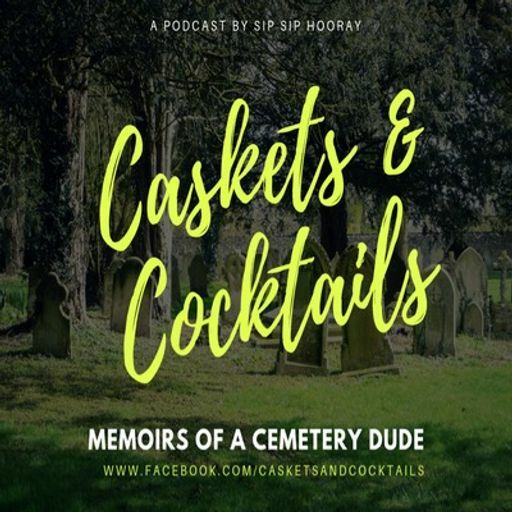 Check out this episode where we find out the parallels of being buried on a hill! Is your family weird? Don’t worry, most seem to be! Check out this week to hear how folks jockey to be the biggest crier...or worst! What's wrong with just letting people die stupid? Poor parenting decisions lead to some pretty crazy stories in a cemetery! Join us as a very special guest careens into this episode to take a hysterical and slightly shocking drive down memory lane! The Family That Buries Together Is Happy Together...Or Are They? Is the family that buries together happy together? Find out what it’s actually like to work in the Death Care industry with the fam! Just because its a funeral doesn't mean you need to leave your "to-go cup" at home. Join us to find out what happens when booze, family and grieving are combined. We'll give you a hint... it's not great! This episode is all about the family drama! Listen in as Mr. Danny tells a hysterical tale about an epic cemetery brawl and we discuss a listeners email regard her family's death bed! Is it a bird? Is it a plane? Nope....that’s a hot air balloon crashing! Biker Gangs love Seersucker & Bow Ties, right?